Accounts receivable is often a company&apos;s largest asset, and the one most exposed to risk - especially in the current economic environment. You just can&apos;t afford to have your clients default on what they owe your business! AR insurance from Aon Canada is a valuable risk management tool for companies of any size. What is accounts receivable (AR) insurance? AR insurance does more than protect your company against bad debts; it actually enhances the value of your receivables. Knowing that your accounts receivable are insured, lenders may be encouraged to offer increased credit limits and better terms. Reduce bad debt reserves, freeing capital for investment. Expand your market to buyers or developing markets that would otherwise be considered too risky. Gain a competitive advantage by being able to offer customers more liberal payment terms. And one further advantage...AR insurance is tax deductible! 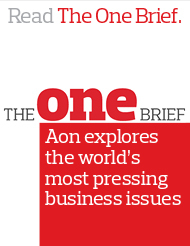 As the world&apos;s largest credit insurance broker, Aon has market influence with insurers. We offer a wide spectrum of credit protection for both domestic and foreign market risks. To start protecting your business from the risks of non-payment, call Aon at 1-877-766-9069. An Aon professional insurance broker will work with you to provide the best credit insurance policy at the best price. Contact our small business insurance representatives at 1.877.766.9069. An Aon professional insurance broker will help you select the small business insurance coverage you need to fully protect your company.